Gold Lack Of Color Hats first surfaced on Chictopia's streetstyle gallery in Summer 2015 seen on Portland blogger themoptop of themoptop.com. 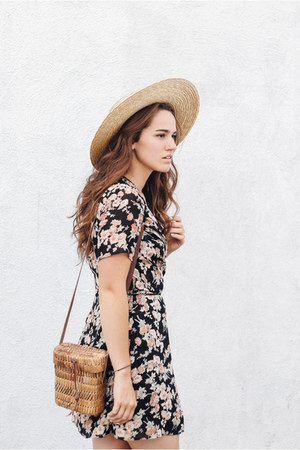 She wore her gold Lack of color hat with a brown vintage bag, black Urban Outfitters sandals, and navy Zara romper. Since then, Gold Lack Of Color Hats have grown in popularity as bloggers from Portland have discovered them. Gold Lack Of Color Hats are generally seen in eclectic style. There is currently 1 streetstyle photo of bloggers wearing Gold Lack Of Color Hats.